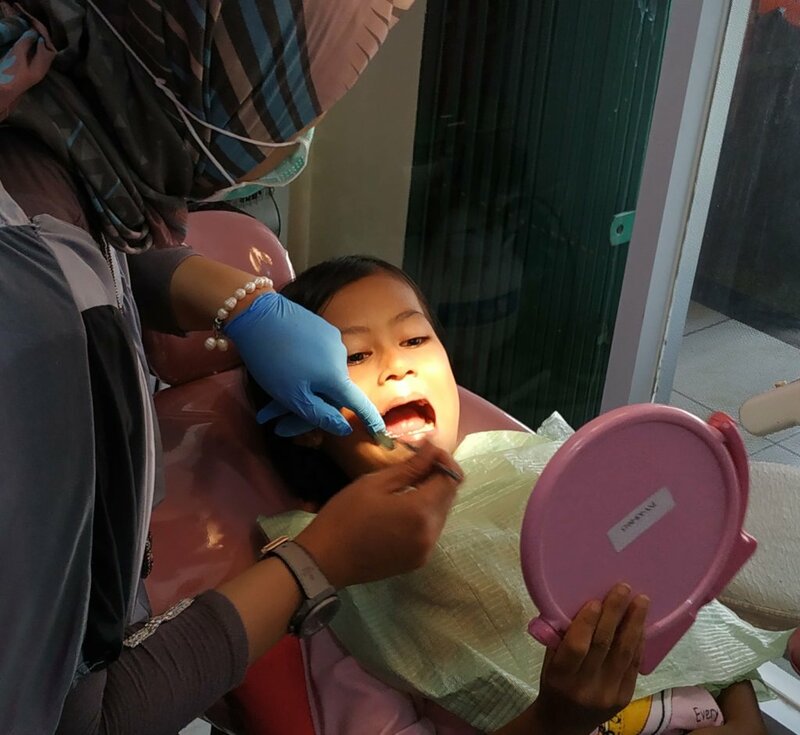 Following up on our story about Aminah learning a new skill to be more independent – ‘New opportunity for Aminah in 11th Sep 2018, here is another life improvement for a better Aminah. During her training and practicing at home, quite often she makes mistakes when sewing and has difficulties in figuring out which is the inside and the outside part of the fabric. When she makes a mistake, she has to unstich the whole process and redo it again. 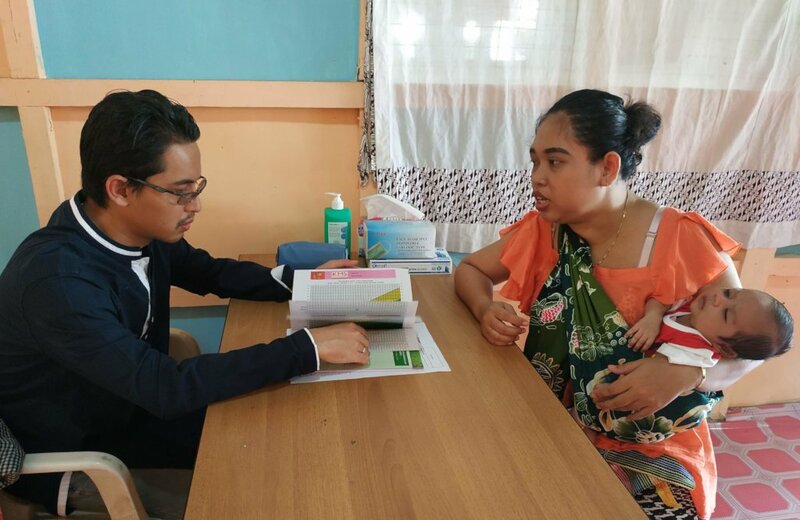 In one of our projects at GlobalGiving – ‘Generate Income and Hope From Non-Recyclable Garbage”, we allocate funds to cover exams and eyeglasses for mothers in our vocational and business training program. 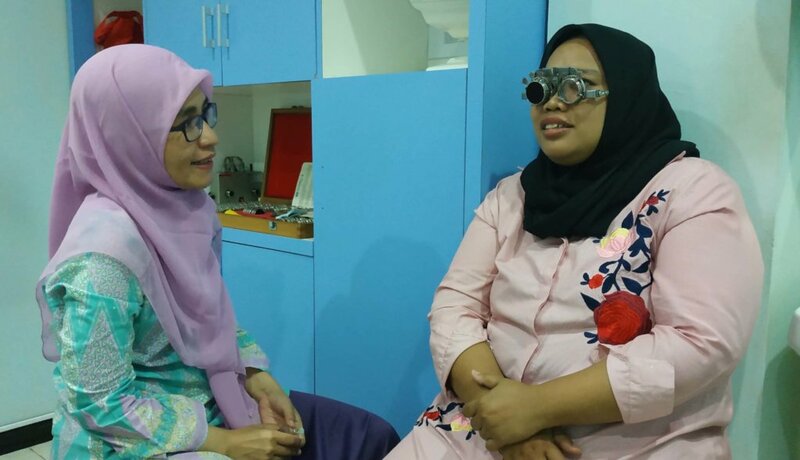 So the time could not be better for Aminah to get new glasses. Aminah has had the same glasses for the last 10 years. 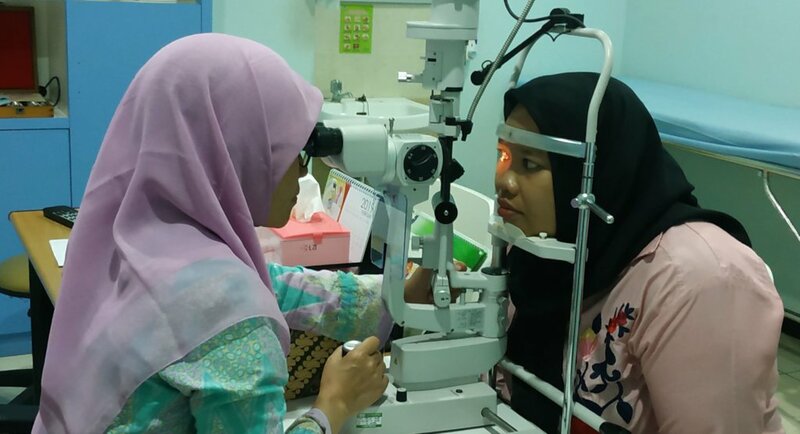 When she finally had the opportunity to see the eye doctor, the doctor told her that for reading/prescription glasses she has to have an eye check up at least once a year to check whether her power is up or down. 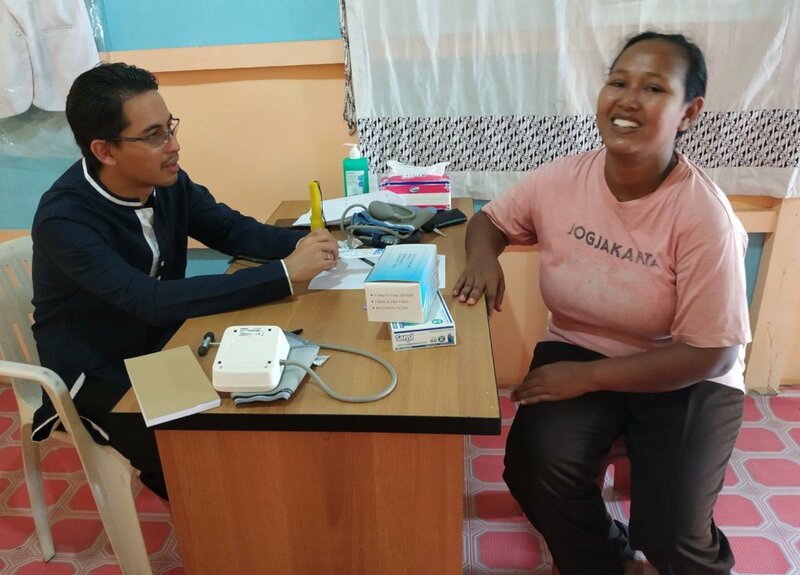 As much as she wanted to have new glasses, given the cost to going to an eye doctor and purchasing presciption glasses and frame, she instead would rather use the money to make sure there is food for her famly and other 2 children’s needs. No wonder she always complains of not being able to see clearly. 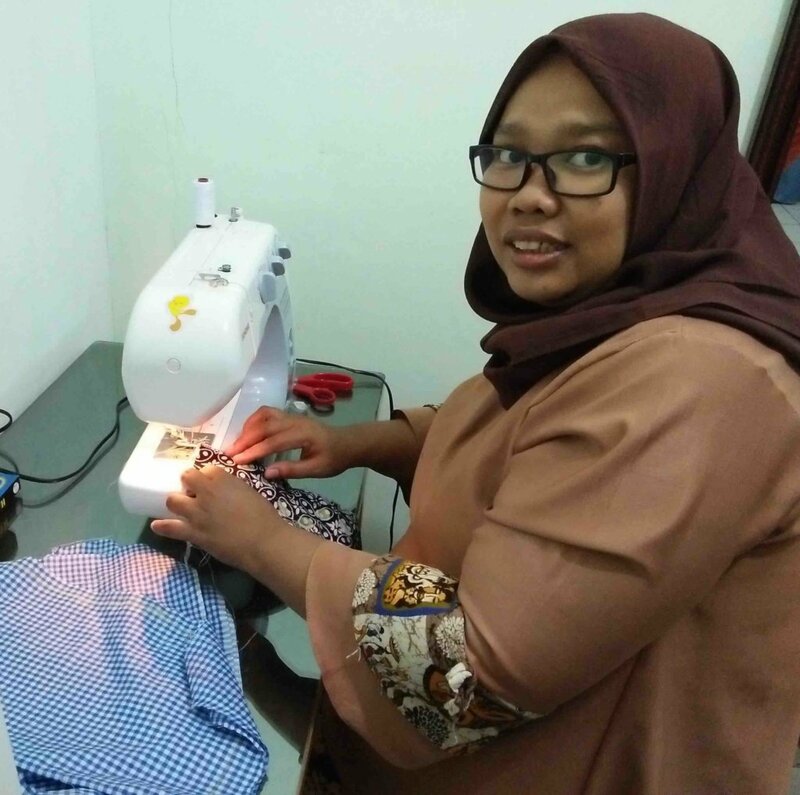 Thanks to the donors who gave Aminah a chance to see better, she is now happier and it is easier to learn and practice sewing. Your donation to XSProject through GlobalGiving will have a direct impact on making this happen. 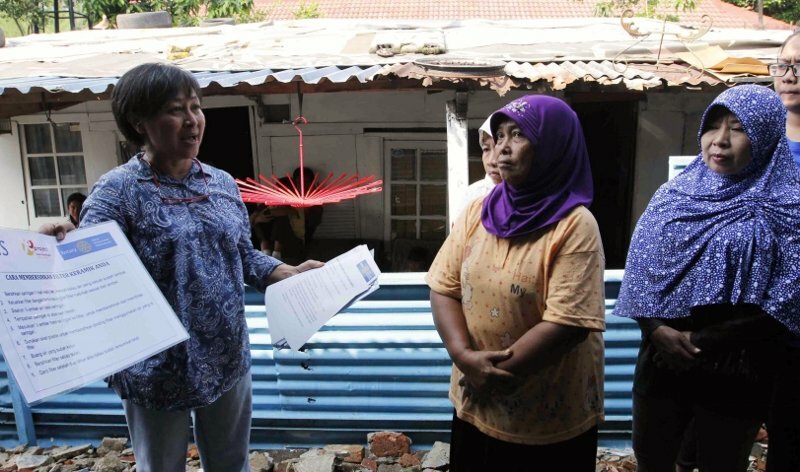 XSProject can provide many more women with micro finance loans, or just to improve their skills so that they can do something for themselves. Poverty is often just a lack of opportunity. This is the way to go towards self-sufficiency and a sustainable income. We hope you will continue to support our work and you are making the difference for them. 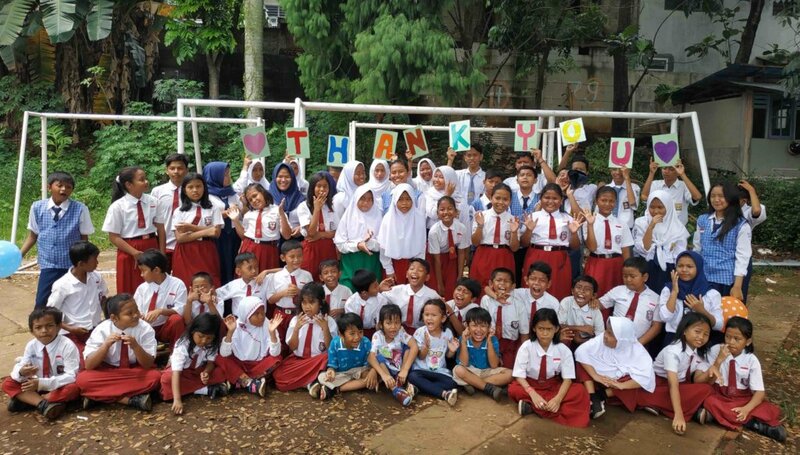 All of us at XSProject Indonesia would like to express our gratitude and a BIG THANK YOU to the GlobalGiving community for your support of our programs in 2018. 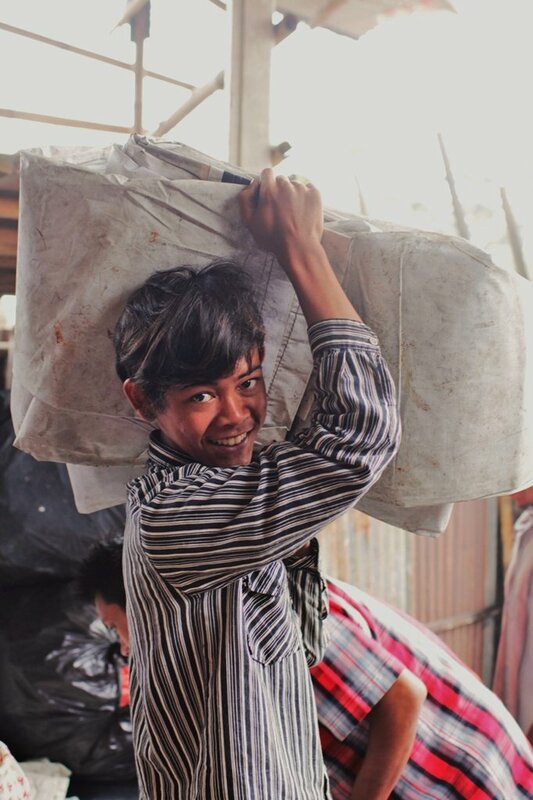 Generous and thoughtful donors have contributed to our social programs for the health and well-being of trash pickers and their families, and to the better education for a better future for their children. 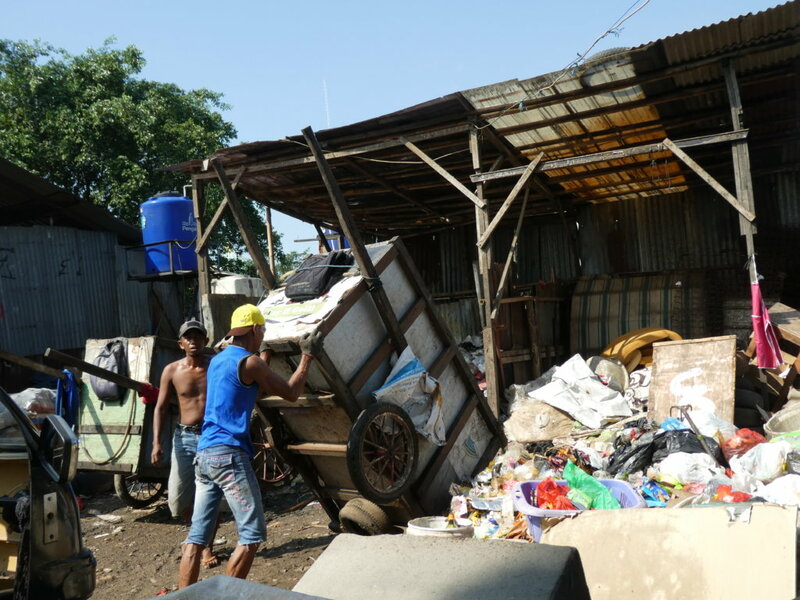 Health is still the major issue for the Cirendeu Community of about 100 families of trash pickers with a total of about 80 children under XSProject-XSEducation Scholarship Program. When XSProject was thinking what more we can do, we received the good news of being nominated as Project of the Month. 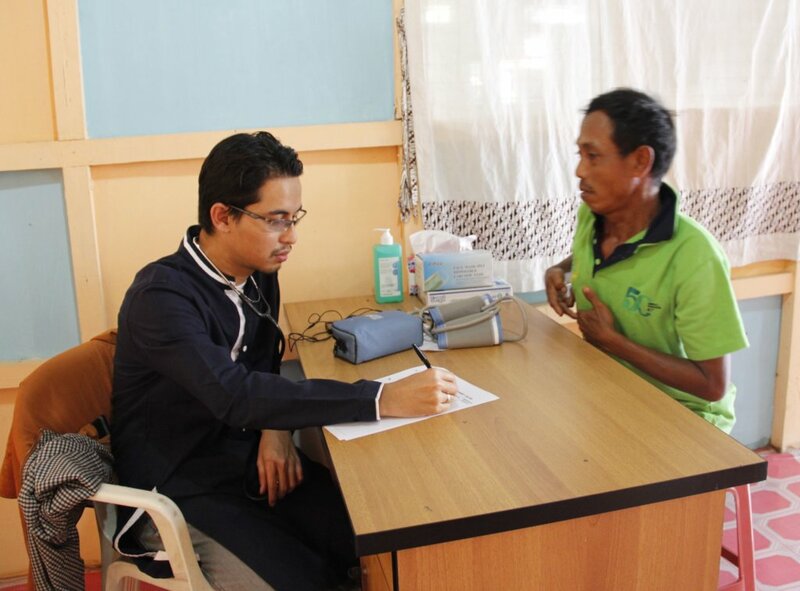 We have been wanting to have a Community Home Care where a doctor and a nurse come for regular visits to the community. 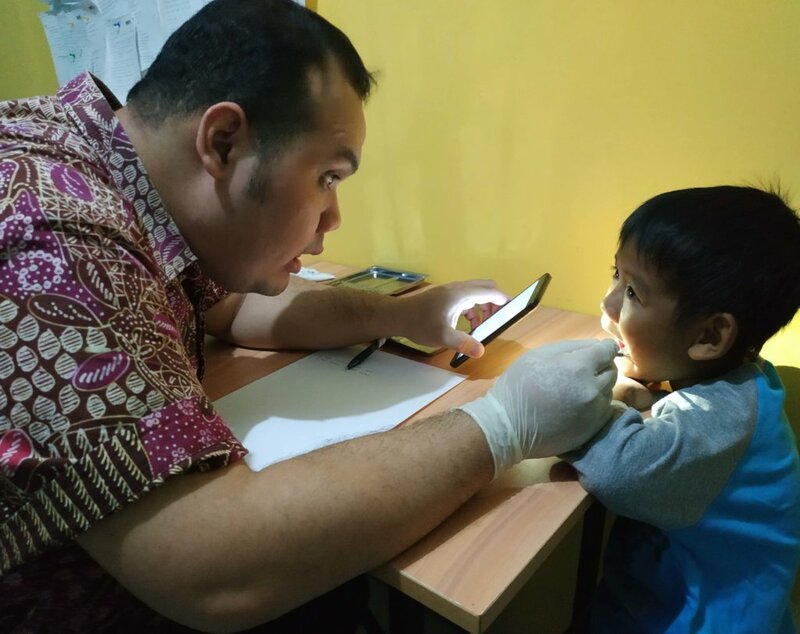 They would not only check adults and children who are sick, but also encourage and teach the community the importance of prevention and early treatment. 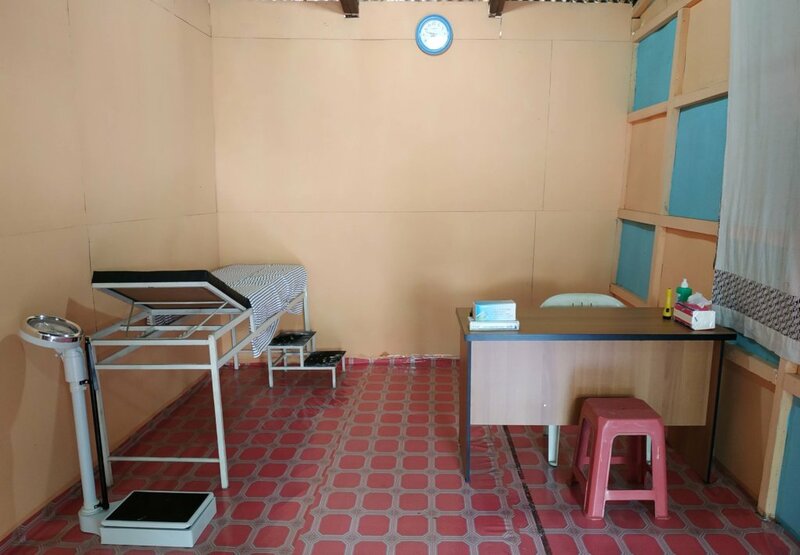 Due to either lack of knowledge or money, too often community members wait too long to seek treatment until they are really sick. 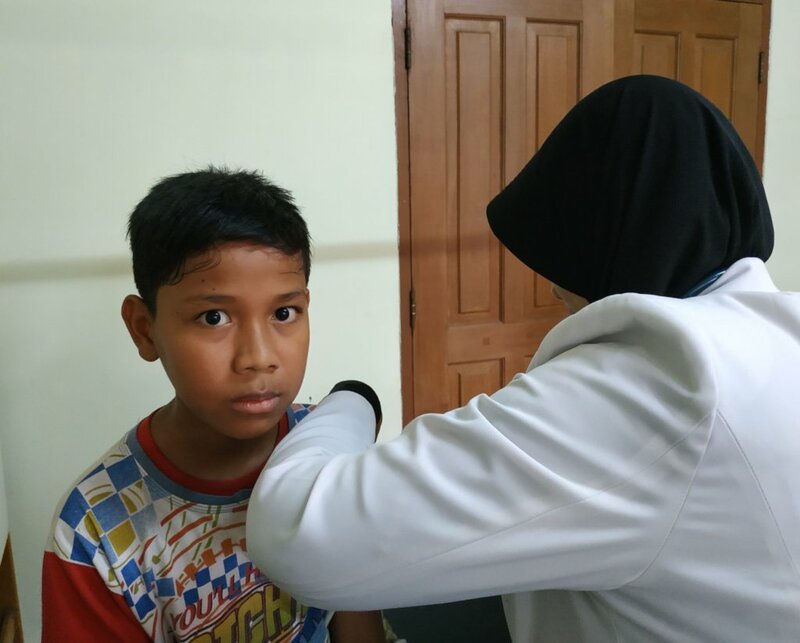 XSProject will continue to provide health education and health awareness to the adults while we make sure that the children receive proper immunization and general health check up in the coming year. 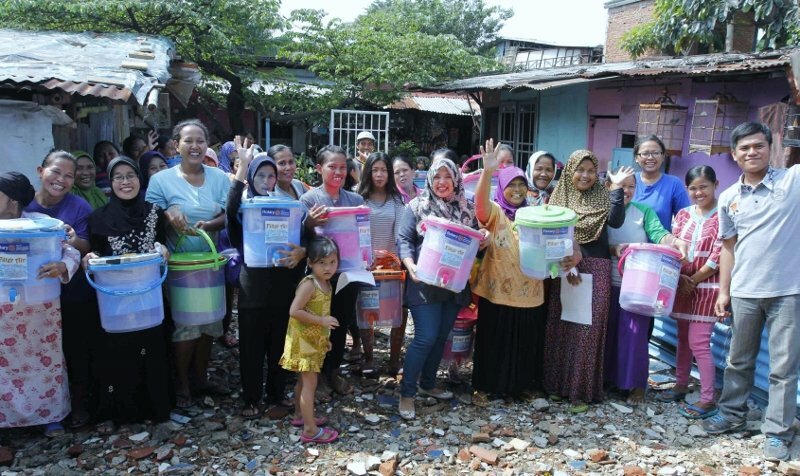 Providing new skills for the moms is also what we have been trying to do. 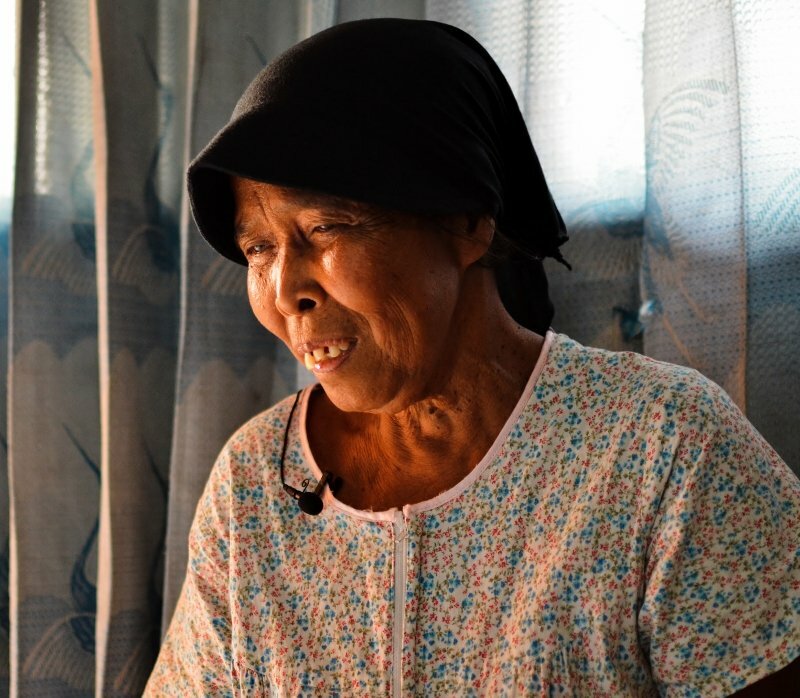 Living in poverty for many generations with no adequate education, many women trash pickers don’t have the skills to do more for themselves. It may also be a lack of opportunity to learn, so we will continue to offer them and show them so they would want to improve themselves. XSProject is very proud to have 6 students now attending college. Coming from many generations of trash pickers, attending college seemed like an impossible dream. But now their hopes have now been fulfilled. 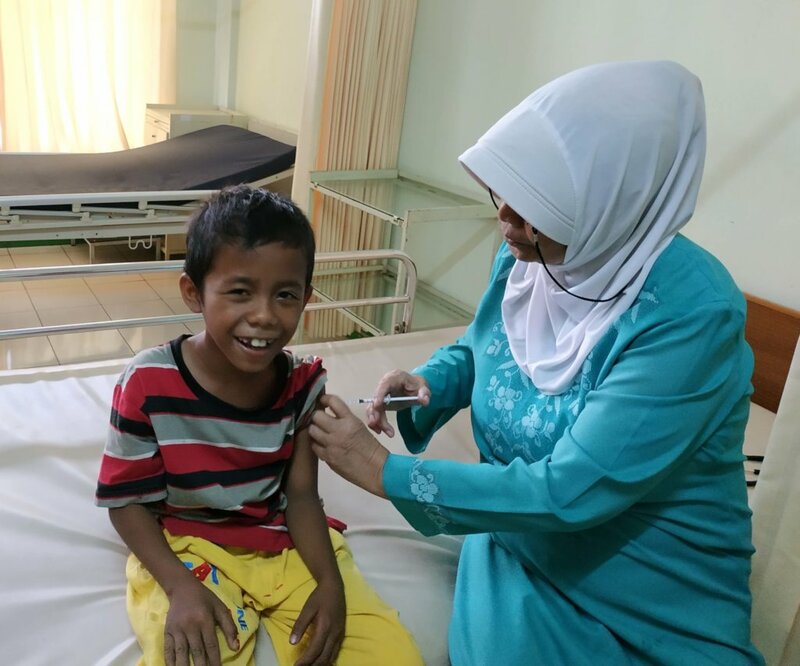 Their desires to further their education, despite all the difficulties they are facing, inspires other younger children at the community that they too can now have the chance to dream big. 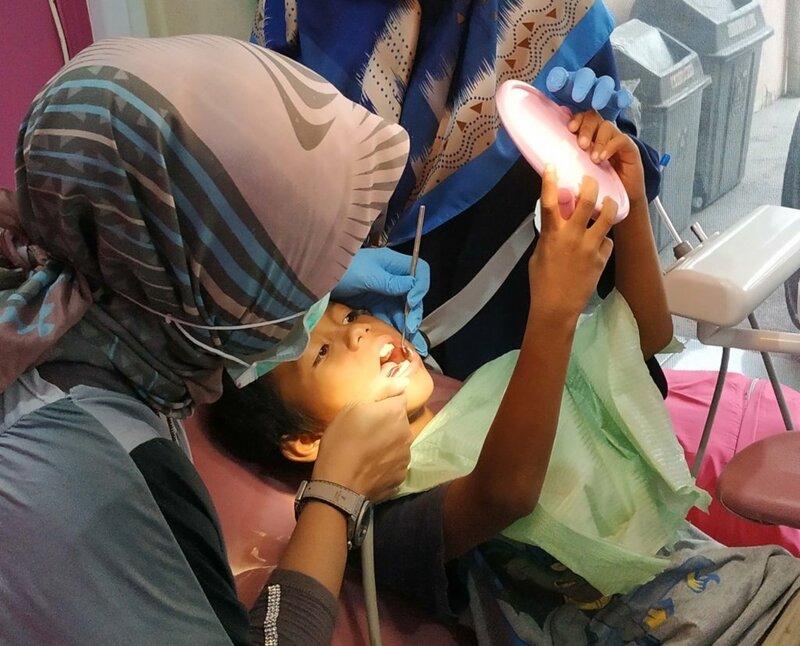 Your donation to XSProject through GlobalGiving has a direct impact on making this happen. XSProject helps the children to aim to have a better life not just for themselves but also for their parents. Showing and providing more opportunities and new experiences outside the world they are living in will give more reasons to work hard in school and to be hungry for more knowledge. 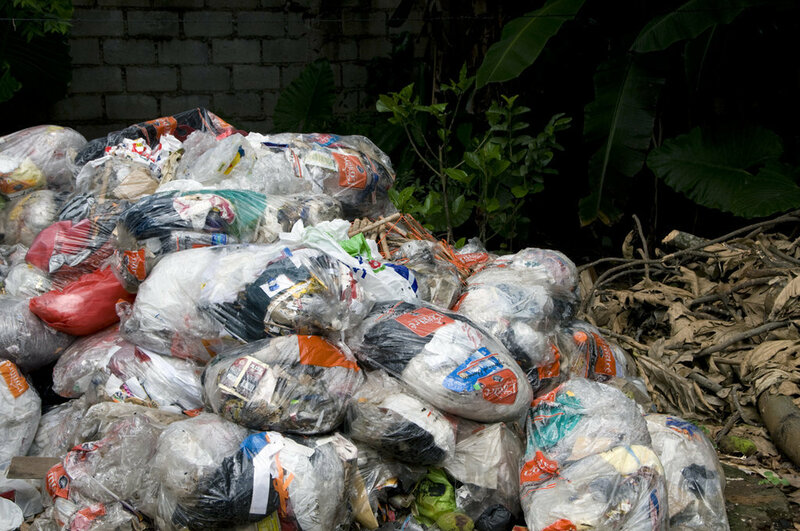 We hope you will continue to support our work in the trash picker community. You are making the difference for them. We are very grateful and we thank you all so much. 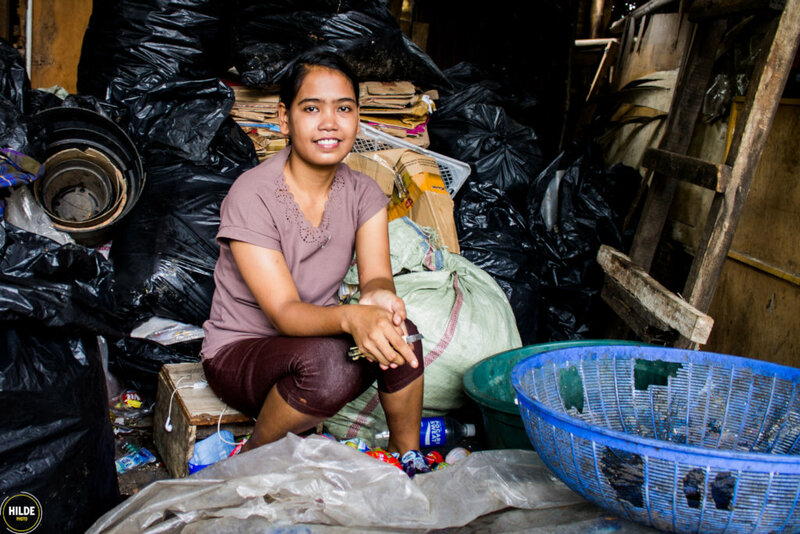 Aminah is one of the Angels at Cirendeu garbage dump. She was born in Jakarta on 19th August 1983. Her parents have 6 children, both already passed away. 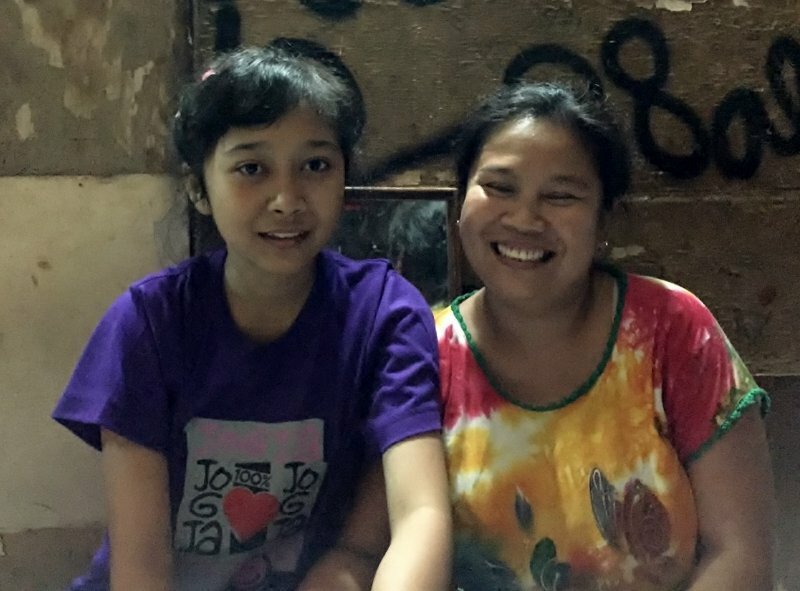 Aminah went to school until SMK (Vocational School), she wanted to continue her education but her parents being a trash picker did not have money to pay her further education. After finishing her school she worked at various shops as a sales person for the next 8 years. With limited education, she cannot advance her career and she has to work many hours and also weekends. She had to stop working because she got sick. 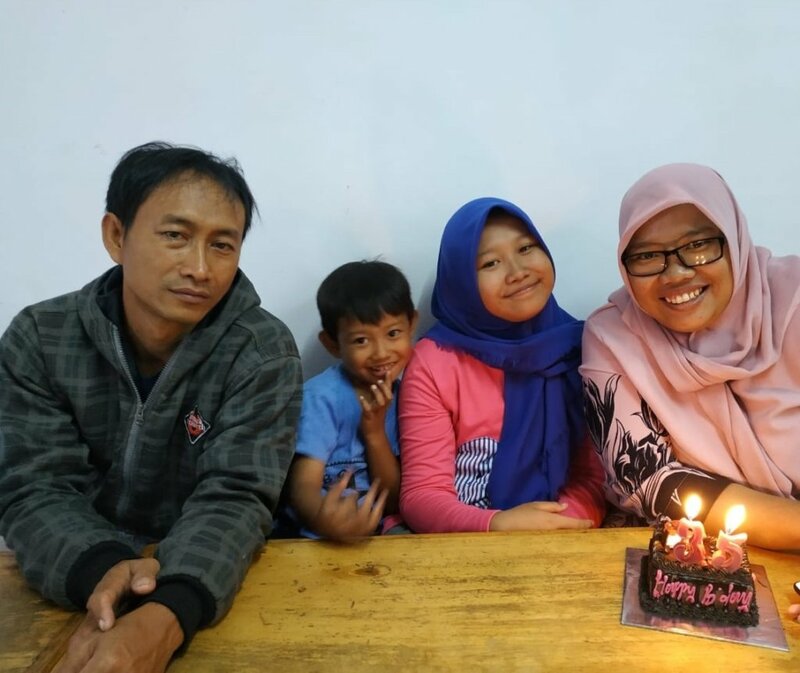 She got married, had kids, and then opened a small warung (small shop) while taking care of her children. “I was never interested in sewing, but I was so disappointed when I asked my neighbor who can sew but she did not want to take my order. That gave me the interest to learn how to sew so I don’t have to depend on other people when I need something that needs to be sewn. “I was so glad that XSProject offered the women at the community opportunity to learn a new skill. I took it without hesitation, plus my youngest child now is already at Pre Grade 1, and goes to school 3 times a week. I now have more time to improve myself, while my son is at school. 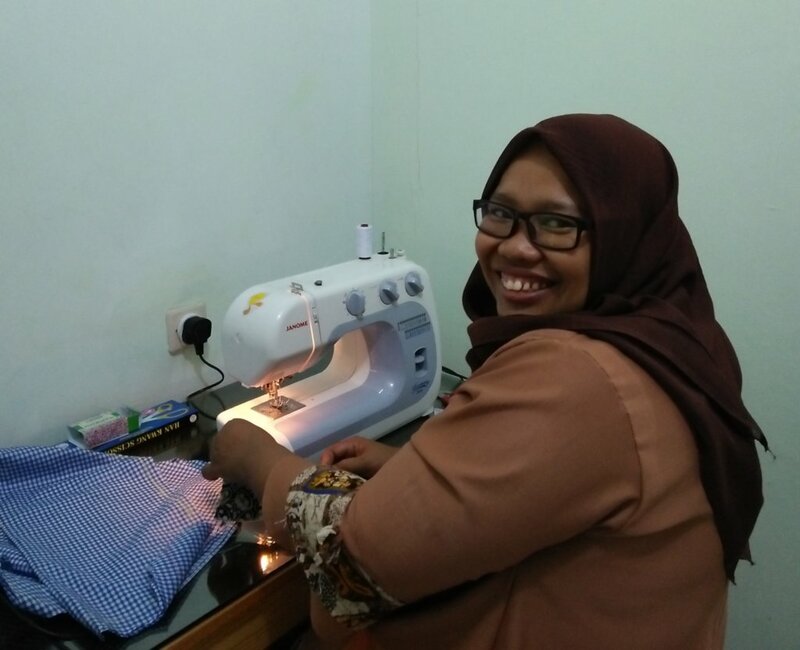 “My goal of learning to sew is so that I can make clothes for myself and my kids and I can fix any clothes that need to be repaired, and maybe that I can also help other sewers if they need help. 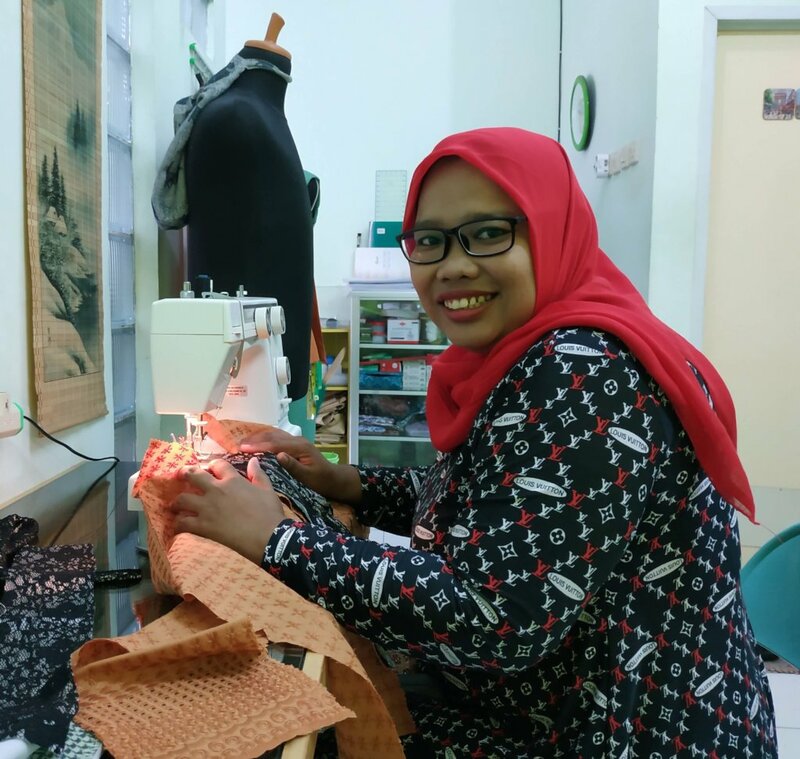 “Of course, I would love to have my own sewing business, so I can take orders and can earn extra income so I can help my husband earn more money. 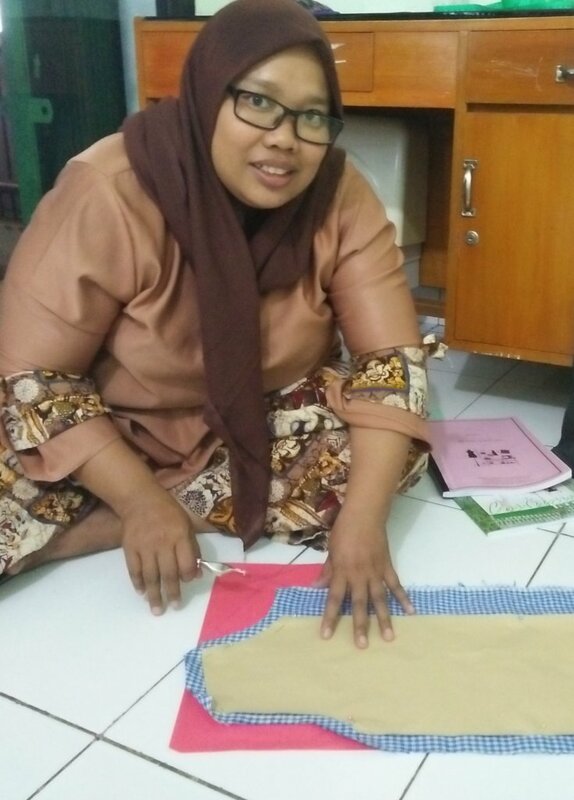 It would be nice to have my own sewing business at home, so I can work but also still can take care of my family but I would also want to help other moms at the community by teaching them what I have learned, so other moms at the community can also learn new skills. Your donation to XSProject through GlobalGiving will have a direct impact on making this happen. XSProject can provide many more women with micro finance loans, or just to improve their skills so that they can do something for themselves. 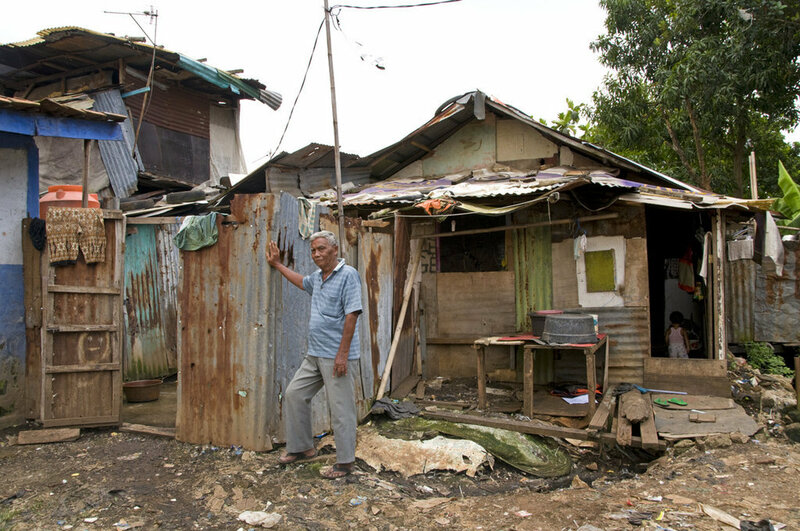 Poverty could be just a lack of opportunity. This is the way to go towards self-sufficiency and a sustainable income. We hope you will continue to support our work and you are making the difference for them. 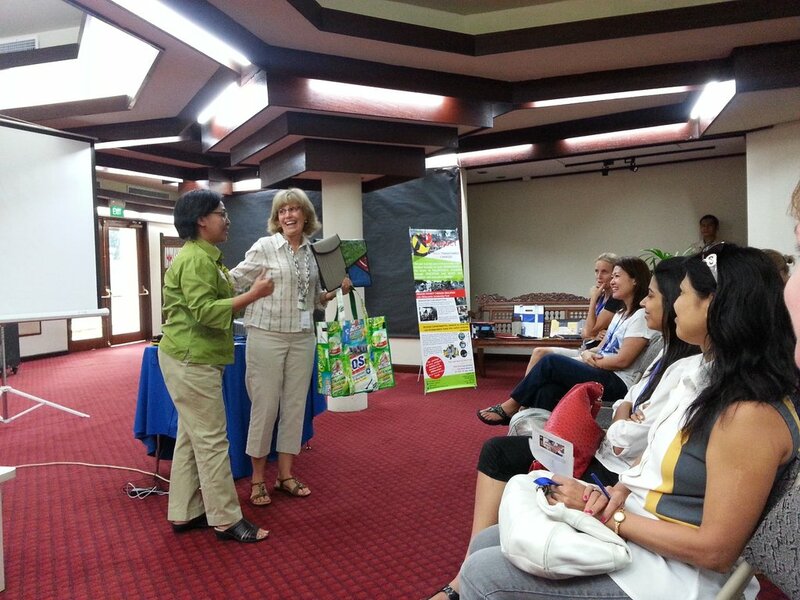 The school year ended in May for the students at United World College South East Asia (UWCSEA) in Singapore. 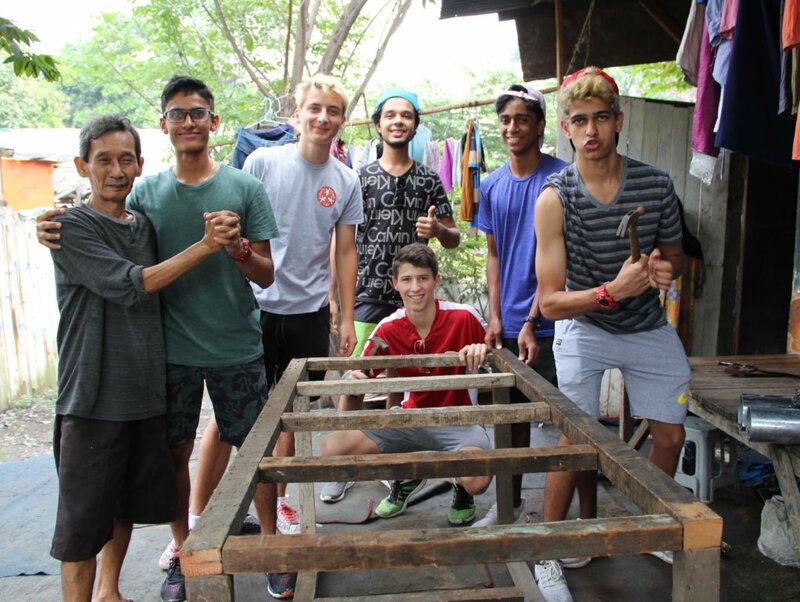 So early in June, six young men who just finished the 11th grade, made a trip to XSProject in Jakarta. What started out being a project to deliver school supplies and discarded banners for make new products, turned out to be something quite extraordinary. Jakarta Street Kids is a UWCSEA service club that raises money for non-profits in Jakarta that support the educational needs of the poor. 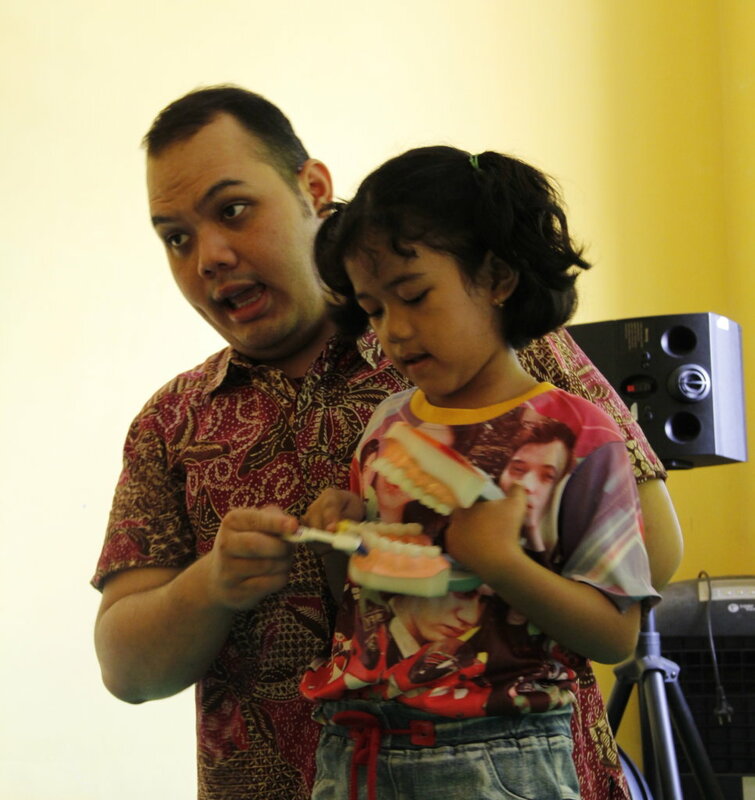 XSProject and Jakarta Street Kids have partnered for several years. They also sponsor 17 students in the XSEducation program. 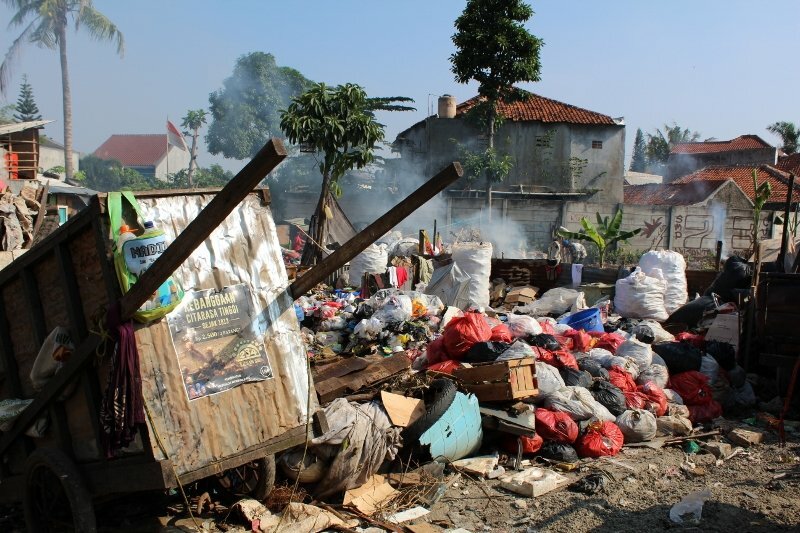 On the first day of their visit, General Manager, Retno Hapsari took them to the Cirendeu open garbage dump where XSProject works. 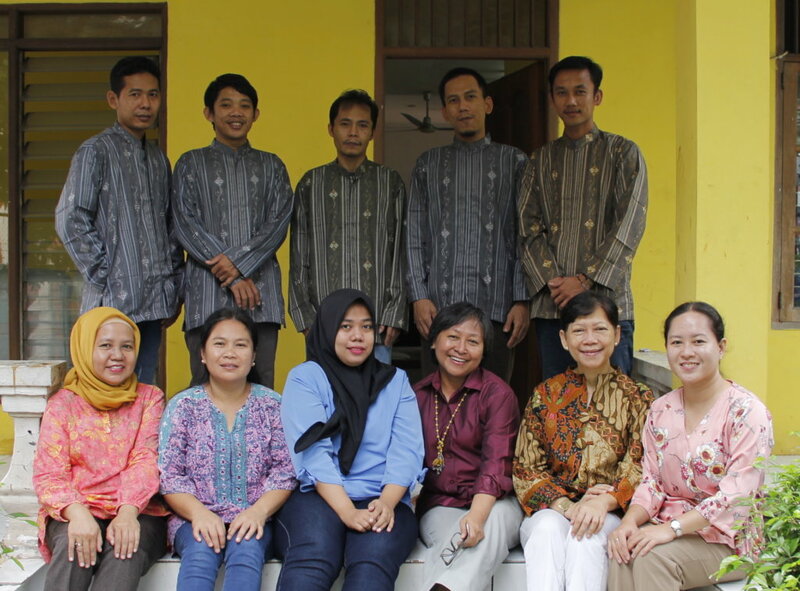 While walking through the community, they stopped at the house of Oman and his family. Oman is a trash picker. 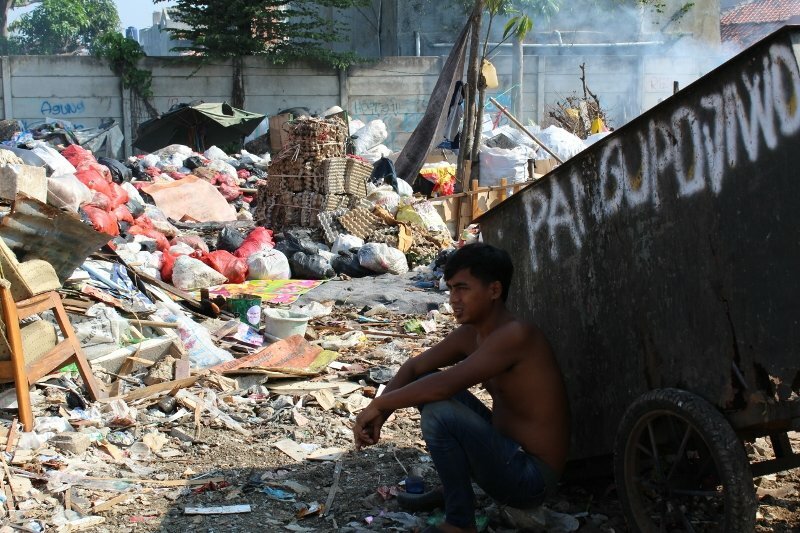 He collects trash from streets and garbage bins in large plastic bags that he carries or drags behind him because he does not have money to buy a traditional trash cart. Oman’s wife, Asnah was also at the house and they watched as she sorted the piles of plastic trash. The young visitors were moved by Oman’s story. 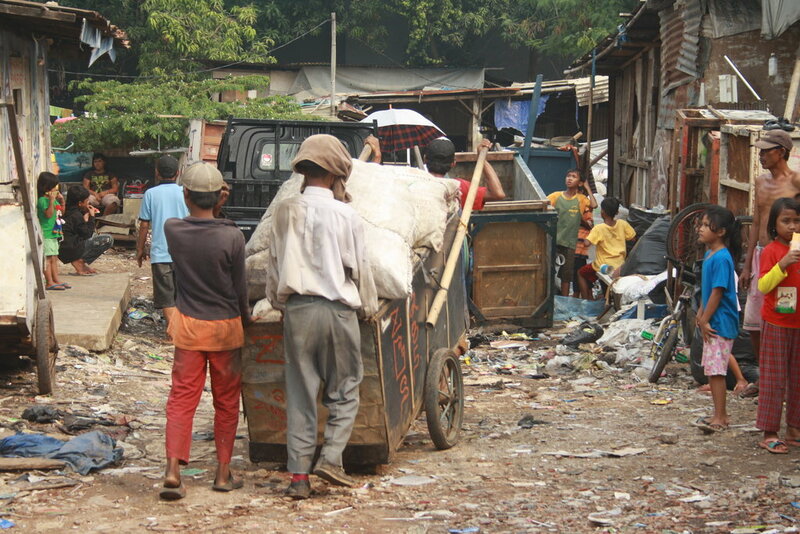 They learned that, with a trash cart, he could collect 3 to 4 times more trash he currently collects, thus earning more money from greater sales. They discussed Oman’s predicament among themselves and decided right then that Oman needed a trash cart. They pooled their money, gave it to Oman and sent him to purchase enough materials to build a brand-new cart. The next day they went back to the community and worked with Oman and Heri, a trash picker who knows how to build trash carts. By the end of the day it was finished and ready for use. “I would never have dreamed that I could have my own trash cart. And I never thought that I could have one in one day”, said a grateful Oman. The day the UWCSEA students spent at Cirendeu, will long be remembered by Oman, his family, and the entire trash picker community. 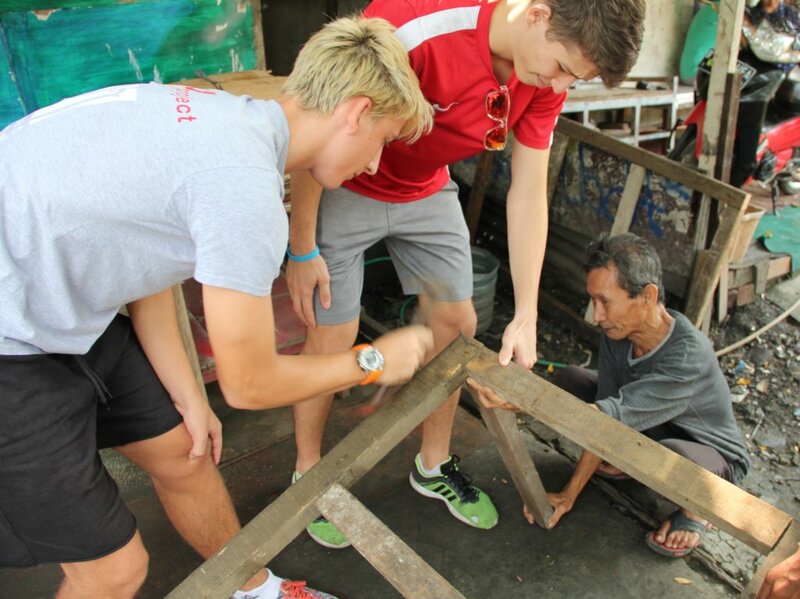 The six young men learned that even a small service project can be life changing for others. We know they will never forget their experience.